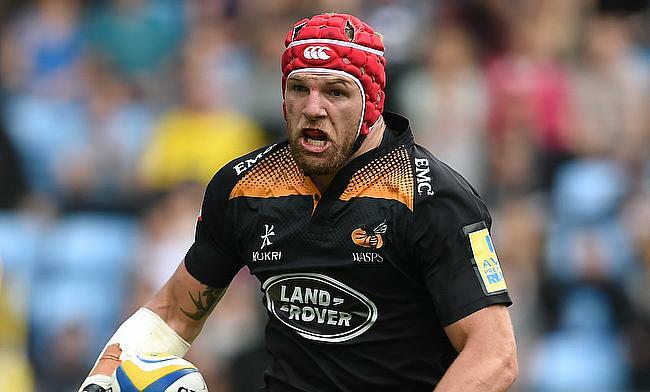 England international James Haskell will be switching to Northampton Saints ahead of the new season from rivals Wasps. Haskell had already confirmed in February that he will end his association with the Ricoh Arena outfit after spending 15 years with the club separated by two stints. The 33-year-old was reported to have approached by a number of foreign clubs but the move to Northampton Saints will mean that he will still be in the reckoning for the 2019 World Cup in Japan for the red rose team. Haskell has played 77 Tests and was recalled by England boss Eddie Jones during the Six Nations tournament earlier this year after almost 12 months away from international set-up. Haskell's Wasps team-mate Danny Cipriani has also confirmed that he will switch to Gloucester Rugby when his contract expires at the end of the ongoing season.